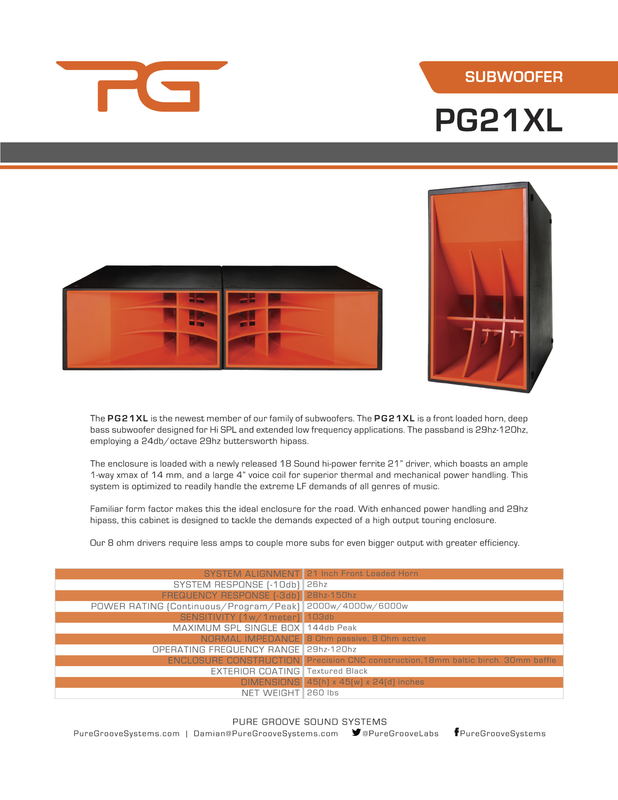 We are so excited to introduce the PG21XL, the brand new subwoofer in the Pure Groove line of products. Deep and powerful with 21″ front loaded horns. This beast goes below 30 hz with authority. 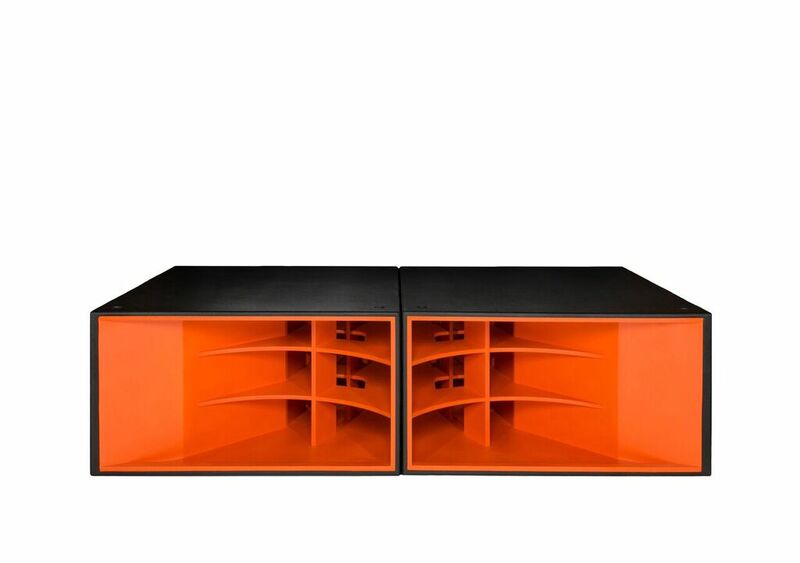 Available in a variety of custom colors, although if you ask us, orange is the new black. Please check out the specs below.